Make it male is the theme for the next fortnight over at the CD Sunday challenge blog. 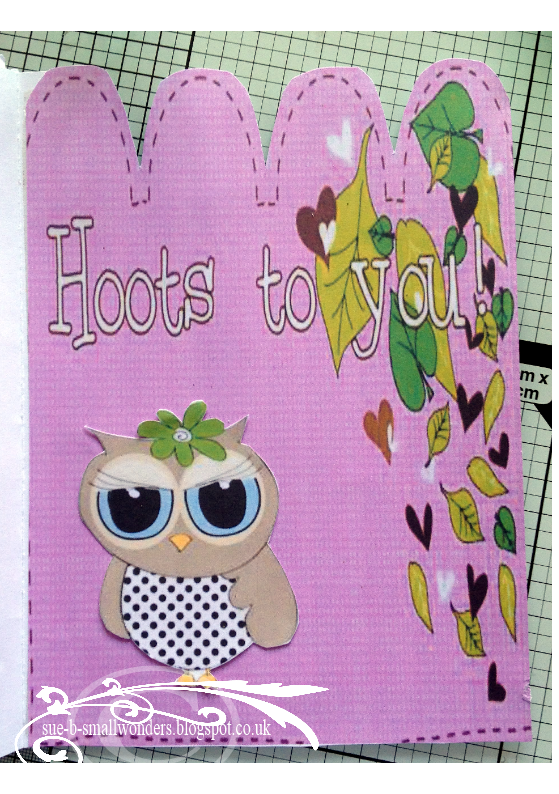 My card started out as a scrap page as i have been rekindling my love for scrapbooking and craft artist is the perfect place to work in for layouts and brilliant for card assembly too. I have printed it out and mat and layered it onto a 8x8 white card blank. 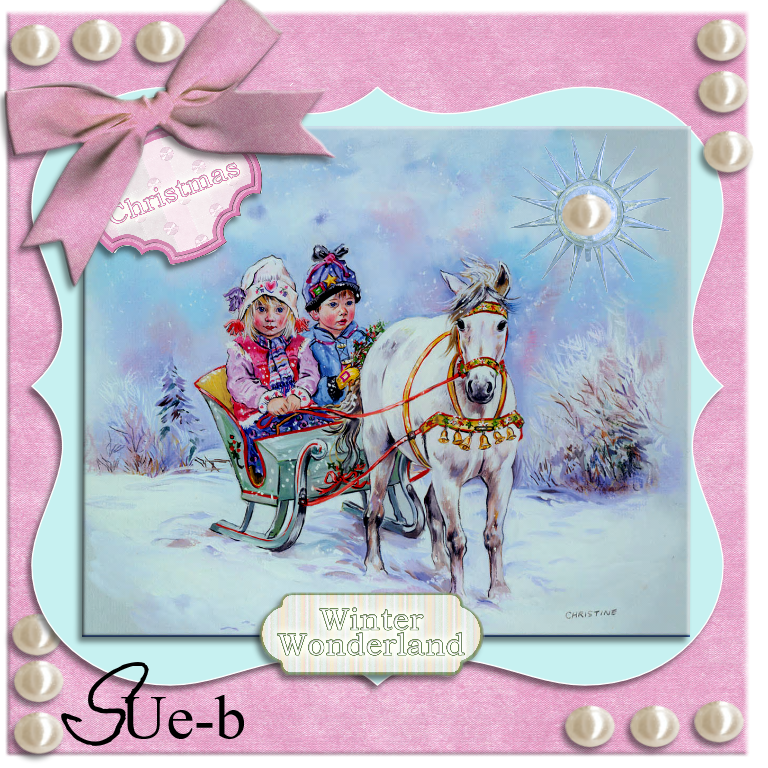 The challenge at CD Sunday is White Christmas and has been chosen by Margaret, and at this time of year should be an easy one for all crafters as we will all be doing Christmas cards , well that is if your like me always full of good intentions of having all done by now and ready to post. The only ones I have post are off to Canada so they should arrive in plenty of time this year. 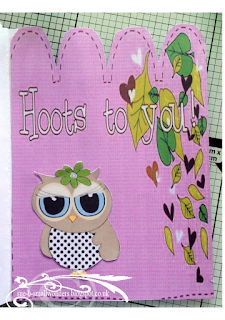 My card has been made a Crafter's companion CD Paintbox Poppets. This fortnight the challenge at CD Sunday is SPARKLE AND SHINE and has been chosen by Wynn, and it just so happens that I have just made a card with some sparkle and shine. I have used Polka Doodles again , Sticks & Bones this time to make a birthday card for a 13 year old. 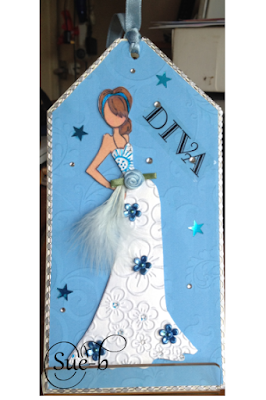 I have used a 6x6 white card blank and apart from the sparkly flowers everything is on the CD. I hope you like it and thanks for another great challenge ladies . The challenge at Cd Sunday has been chosen by Meg and it's Father Christmas, so a good time to get some Christmas cards done. 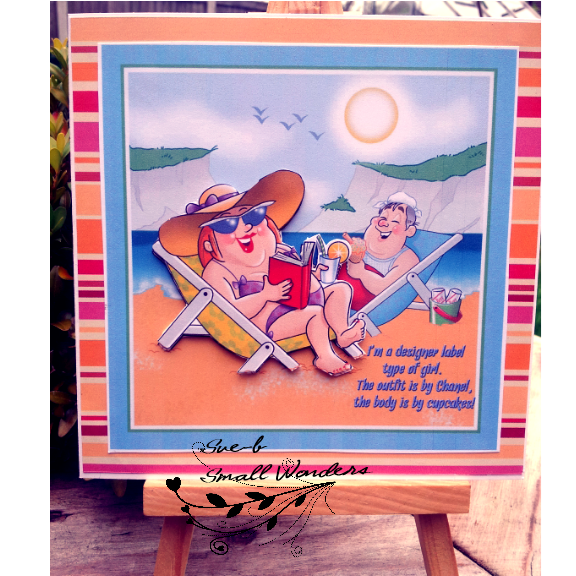 I have turned to a favorite Cd for this card from Polka Doodles called Festive Hollybobs from the work and play range. All the elements and papers are from the CD, so all I had to do was to print everything out and cut them out and assemble the card. 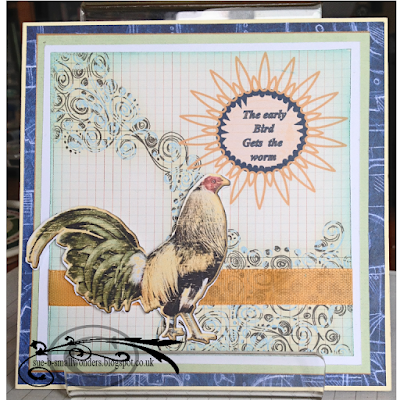 here is my effort for Pamela's challenge at CD Sunday , Country living. 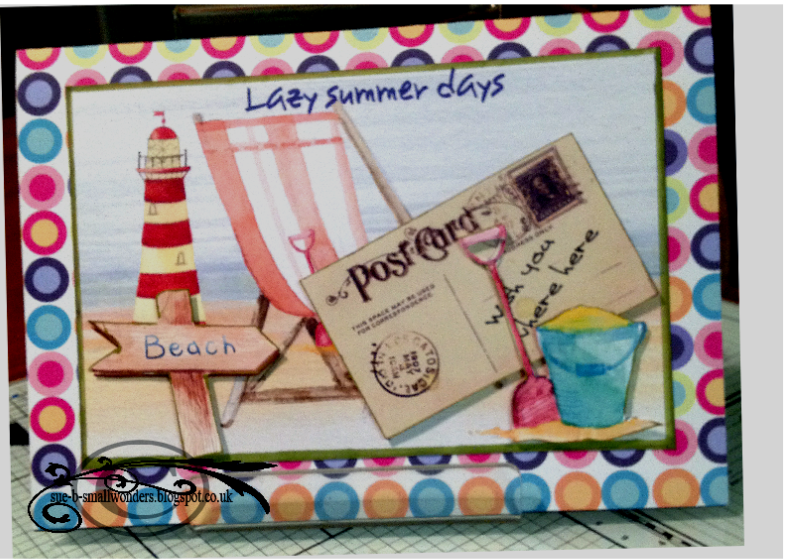 The CD i have used is a Polka doodles work & play 10. Made on a 8x8 white card, printed out all the elements and reassembled on the card . Good morning ladies & gents, not a very nice morning so far but we have been promised some sunshine. Over at CD Sunday the challenge for the week is Things with Wheels, well there is so much to pick from you will be spoilt for choice. 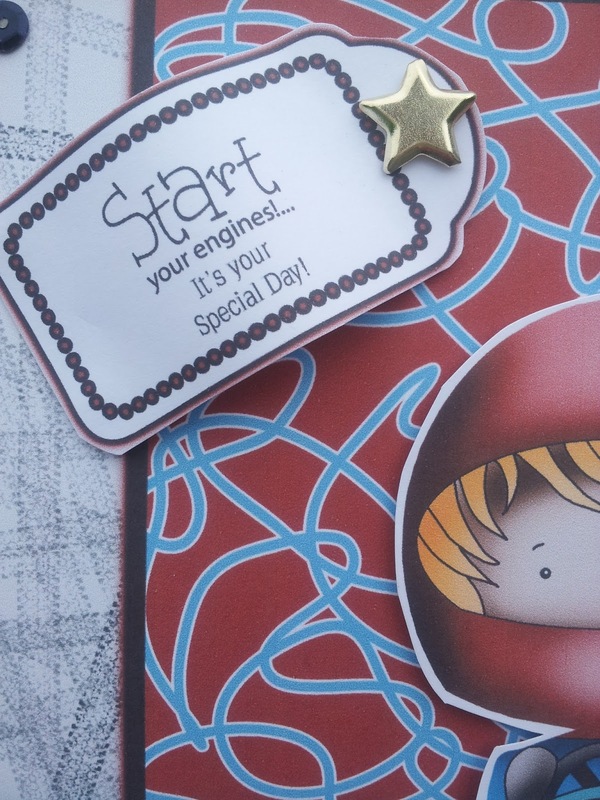 My choice had to be a car for my Grandson Logan who will be 4 next month, and he loves Mario, so this image from polka doodles work and play rang was the perfect choice . Now I know it's things with wheels and this car definitely has them but they are very small on the image but the little guy reminds me of Logan with his blond hair. You still have a week to enter and there is always a prize on offer for the winner , just click the link above to see the challenge and remember that you must use a CD in the making of your project, so not just for cards folks , the girls will be pleased to see your entries, so good luck. 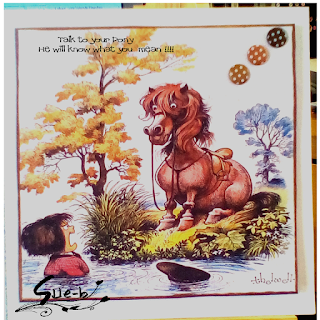 The CD i have used in making this card is from crafter companion and is the Thelwell twin paper-crafting collection. A really beautiful collection of images can be found on these CD's , all these images take me back years, I can remember my Nan having annuals of these and also Giles , I believe they used to be featured in the papers. You still have time to your entries into the challenge as it runs up to the Saturday the 17th , just click on the link above . Hot Hot Hot at CD Sunday. It's Hot Hot Hot at CD Sunday and I wish I could could say the same for North Wales at the moment, This fortnight's theme has been chosen by Jocelyn . My card has been made using MCS's The Artist Collection Vol 3. Lots of fun images on this CD, I printed it twice so I could decoupage the main image , I used a 6x6 white card blank , a fun challenge so do join in, this challenge runs for the next 2 weeks and you can find it here http://cdsundaychallenge.blogspot.co.uk/ just click the link . 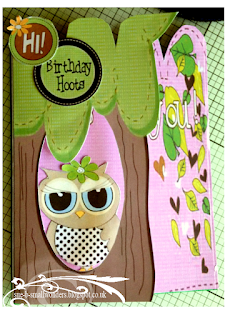 The CD I used is Frou Frou from Crafter's Companion. Well 2 weeks sure does pass by so quickly and it's time for a new Challenge at CD Sunday. But before we get down to the business , our last challenge Once upon a time hosted by Carol saw some excellent entries and she will mulling them over before giving us her top three. Our challenge for the next fortnight is brought to you by the talented Meg, the theme she gone with is Summer Vacation, (I do wish we had a summer now in place of this rain). The team have been busy and have brought together great inspiration for you. 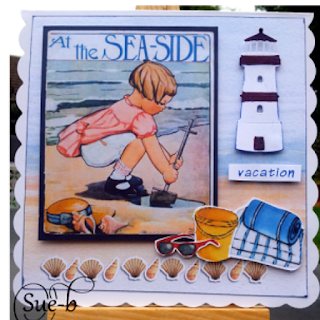 For my input my card was put together in craft artist using the summer seaside kit that I printed out and fussy cut the embellishments and I have added a die cut lighthouse and stamped out vacation. The challenge is open for two weeks so plenty of time to get in your entries, please remember to use something from a CD and give it a credit, Good luck and I look forward to giving a visit and commenting on your creation. 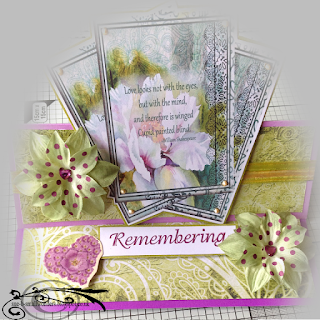 This fortnight's challenge from CD Sunday is brought to from team mate Carol so on with the thinking caps and get crafting my crafty friends, the theme is Once upon a time. Talking of time i am so late this challenge but only because my laptop decided to curl up and die and i have lost so much but I do have also have external hard drive so not all is lost . So on to our last challenge No images , I was very impressed with the entries and will come back to you with the results in sort while. Carols challenge is so enjoyable so we are looking forward to big response to this one. 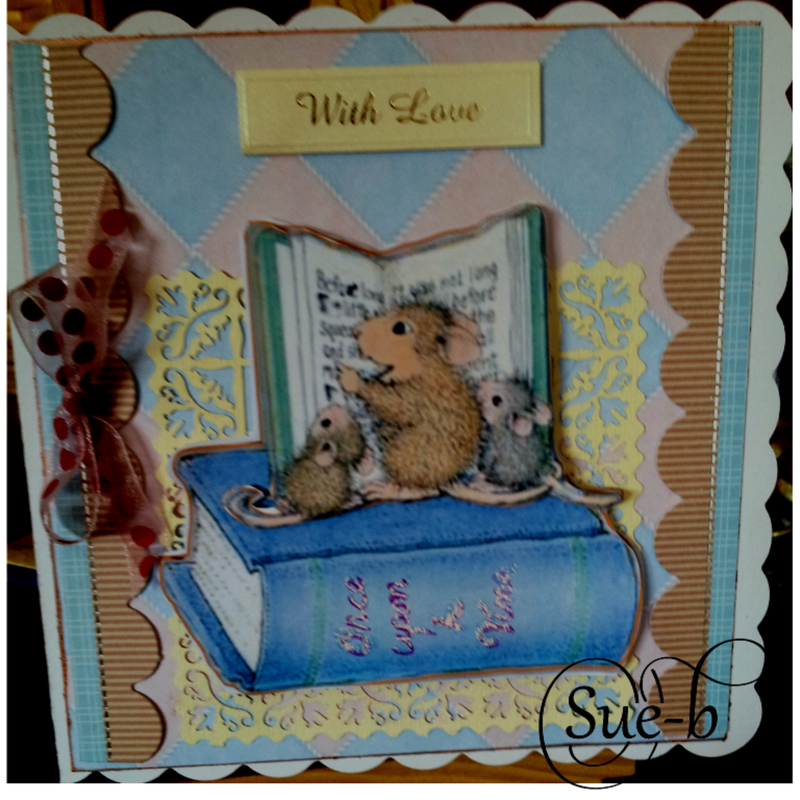 These little cuties come from a Joanna Sheen House mouse CD, I have used a 6x6 white card , added a die cut behind the main image , the scalloped trim is from Kanban , added a sentiment and bow . I hope you like it and I look forward to seeing what you create this time around. It's time for a new Challenge here at CD Sunday and I get to choose the theme this time, so I have gone with " No images or Photo's". Last time we introduced you to Margaret And Meg , this time we introduce Pamela and Pauline, so check out the blog, use the link to CD Sunday to check out what they have to say. So not only an introduction to the new members of the team but also for the first time all the team members have given us fabulous inspiration for this challenge, so go on with so many ideas I hope it shows how easy it is to enter into the fun and remember to something from a CD no matter how small and let us know that CD you have used. 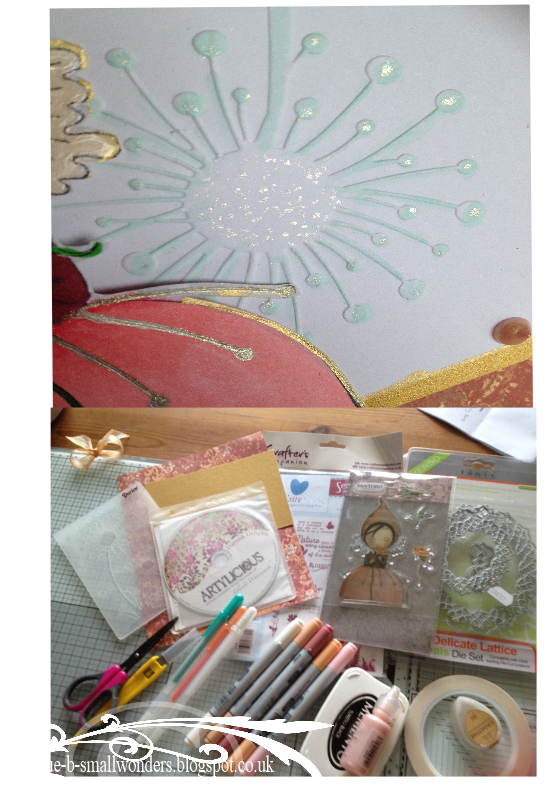 The CD is My Craft Studio's Tatty Twinkle beautiful surprises. The triangle shape is a die from Spellbinders. 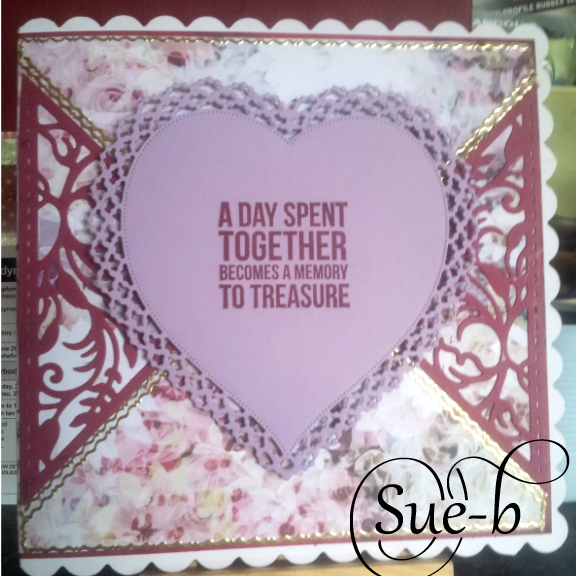 The heart die id from Tattered Lace. The sentiment is a stamp and in keeping with trying to use things from my stash i have added peel offs, I know they are not as popular as they used to be but for me they still have a place to add a bit off under stated bling. I look forward to seeing your makes and visiting your blogs. It's Sunday morning on the 29th of May and that means it's time for a new Challenge at CD Sunday . So for the next two weeks Jocelyn would like us to go Lilac ( lets go lilac ). A lovely colour choice I think and the team have been busy bringing you lilac inspirations, so click the link above to check them out, Not only the inspiration from the team but there is lots of good news to tell you too. So go no click the link and see what great news we have for you all. Now back to the currant challenge and lilac is the theme and you know that something (no matter how small ) must be from a CD and please remember to credit the CD you have used. 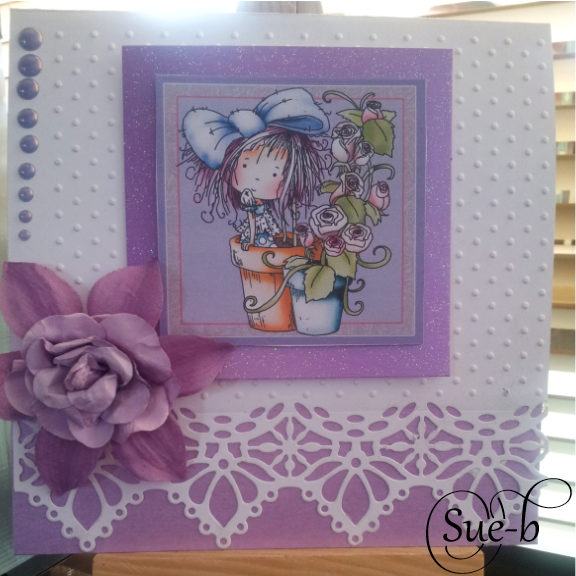 For my card I have used M.C.S Tatty Tinkle - Beautiful surprises for the main image. The rest of the card is made up as follows. Time for a new challenge at CD Sunday and for the next 2 weeks Wynn is asking us to create something beginning with " B ". For my DT card I have used Lemonade Fizz from Polka doodles. I have used a 6x6 craft card base and cut out the elements to add a bit more definition to the bees, and print out the sentiment. I do hope you will be able to join in with us over the next 2 weeks. Sorry it's such a short post but literally just home from holiday and the tiredness has really kick in and my bed is calling me. Can you guess what song it is ? Madam Butterfly, from the 1932 film staring Cary Grant and Sylvia Sidney . The CD I have used is a Debbie Moore one called Oriental from the glitter and glitz range. Looking forward to this challenge and what you come with. Our Birthday challenge went really well and thank you all for joining in, the results will be with you soon. Do check out the CD Sunday challenge blog for the list of winners for the last two challenges, your name may be among them. 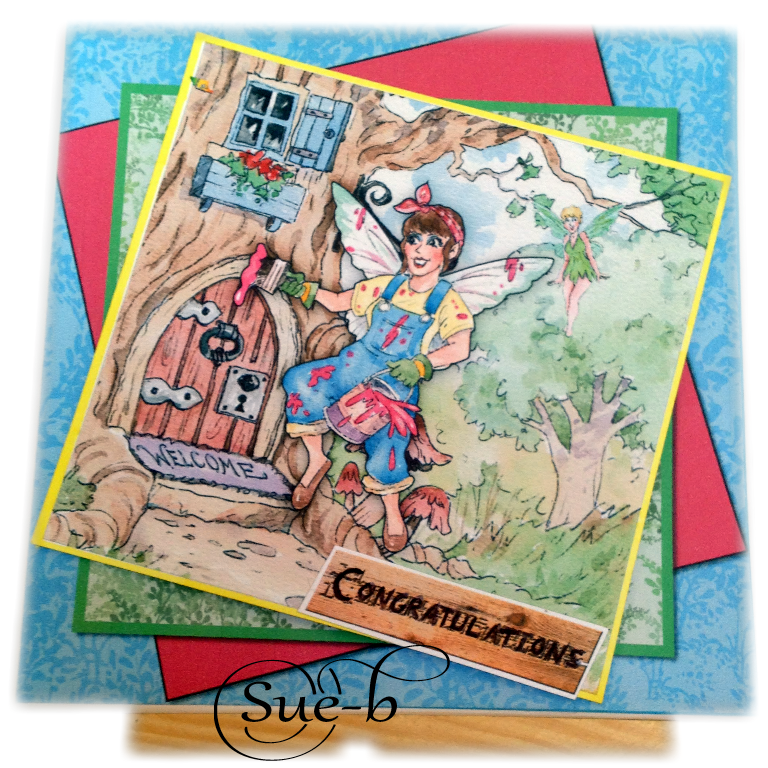 we are celebrating with a fun and easy challenge, and there are super prizes up for grabs, this one is so easy to enter all you have to do is select your favorite make, card or project that you have previously entered into the CD Sunday challenge, Back Link it and the design team will select the winners . Now we know that some of you may be New to CD Sunday but don't worry there is also a prize for the best new comer so get your makes entered. The design team have also pick a project that we have previously made as inspiration for a challenge. I was first a guest designer for CD Sunday early in 2012 and became a team member in July 2012, so the card I have chosen for this celebration challenge goes back to July 2013, the challenge was called Dreams and Dragons and the CD I used was one from Peerless Designs called Woodland Fantasy, this is still a CD that I love to use as just love the images on this CD. I chose this one for a couple of very simple reasons, the first being the expression on the girls face, I remembered to use ribbon and pearls, and also used stickles, but mainly because the whole thing showed a big improvement on what I had been making, I would like to think that I have moved on a little more since I made this one. 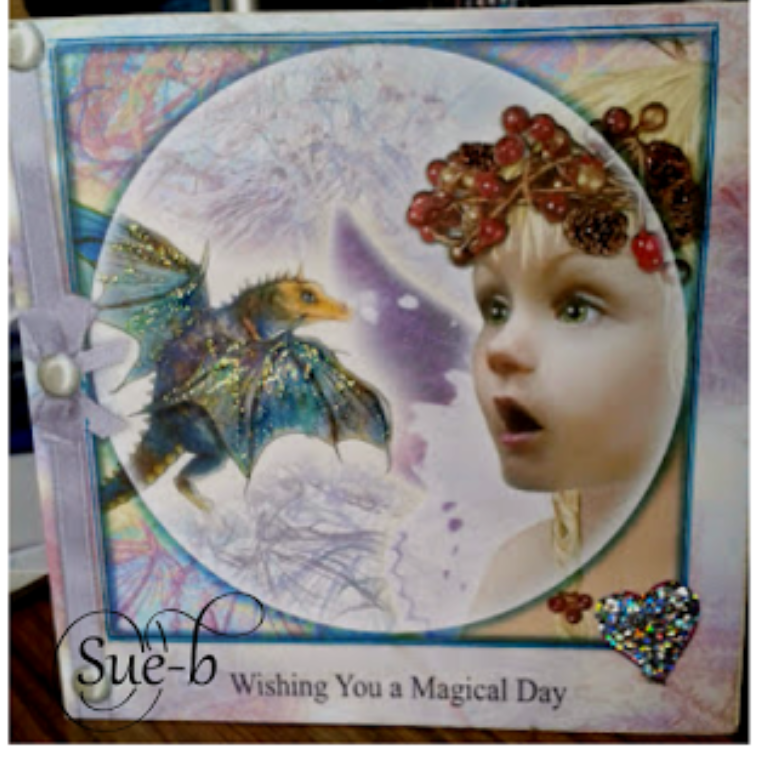 I also love to use Craft Artist when making cards from a CD and I think at this stage I had a better understanding of how that works. All the design team have contributed to the prizes and also a special Lady who has been a guest designer at CD Sunday and still supports us so a big thank you to Pamela. How fast are these weeks going by, April already and time for another CD Sunday challenge. Our last challenge . 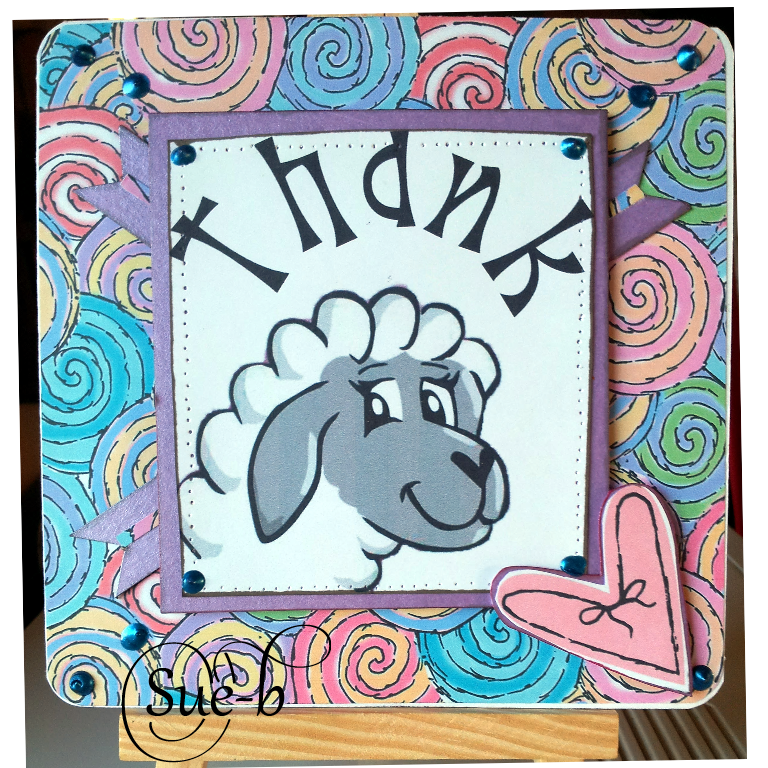 Before we do a quick thank you for all the wonderful creations you entered to Jocelyn's All creatures great and small, Do remember to check back to see if you are a winner when she has picked her top three. Our Challenge for the next two weeks is Get Well Wishes. 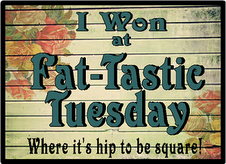 Now all you have to do is use something from a CD to be eligible for any prize that is on offer. 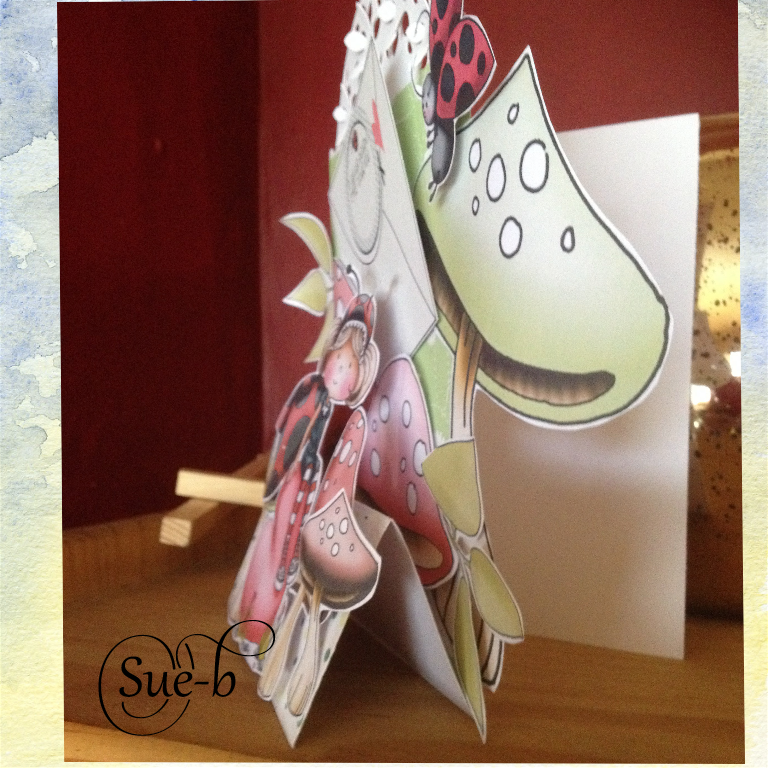 For my card I have used a Polka Doodles CD Sticks and Bones. Time for a new Challenge at CD Sunday, this time the theme has been chosen by team mate Jocelyn and that is All Creatures Great and Small . 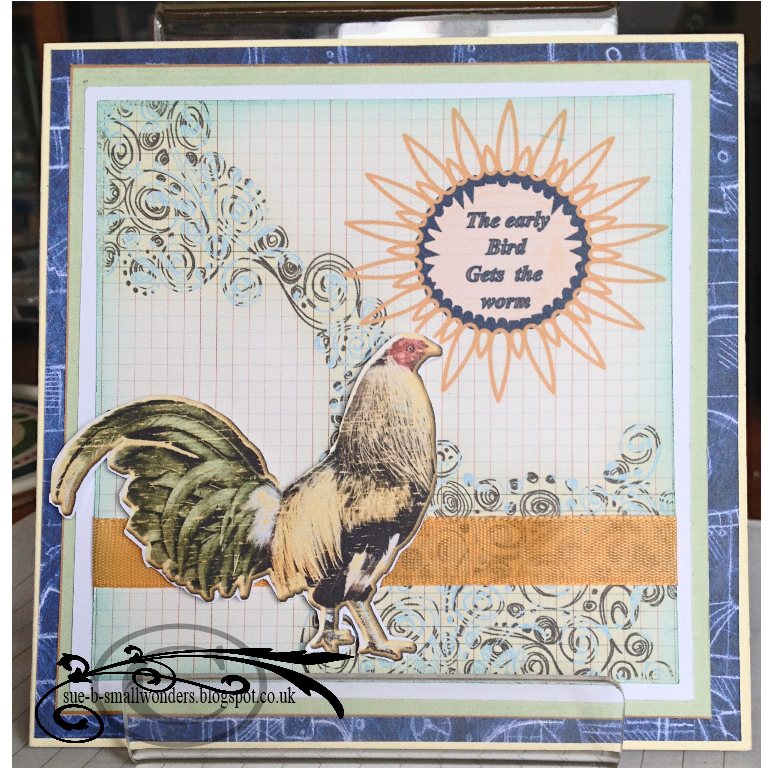 For those new to CD Sunday we have one important rule and that is you MUST use something from a CD, it can be anything you want , IE any papers , toppers or elements you can create your entire project from the CD or just use one small element. 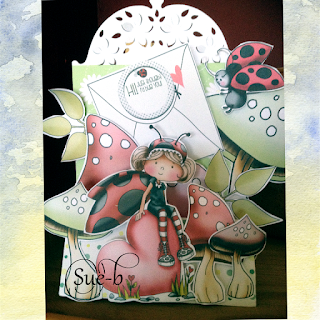 For my inspiration card I have used Polka Doodles Lilybuglove Collection, so apart from the base card the entire card has been made using that CD. Welcome to the latest challenge from CD Sunday. 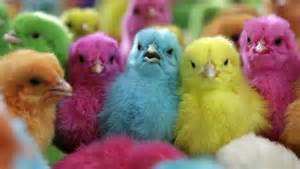 For the next 2 weeks Wynn has chosen a colour challenge and has provided this picture to give you the colours of choice. 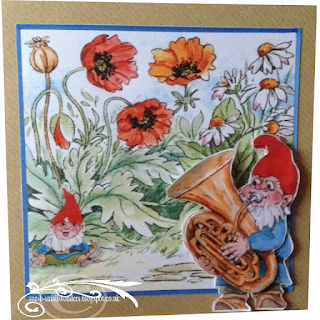 The Cd I have used is from La pashe, Gnomes & Fairies too. Please remember this is a challenge for you to use your CD's, so something from a CD must be used and please tell us what you have used and what CD it came from. 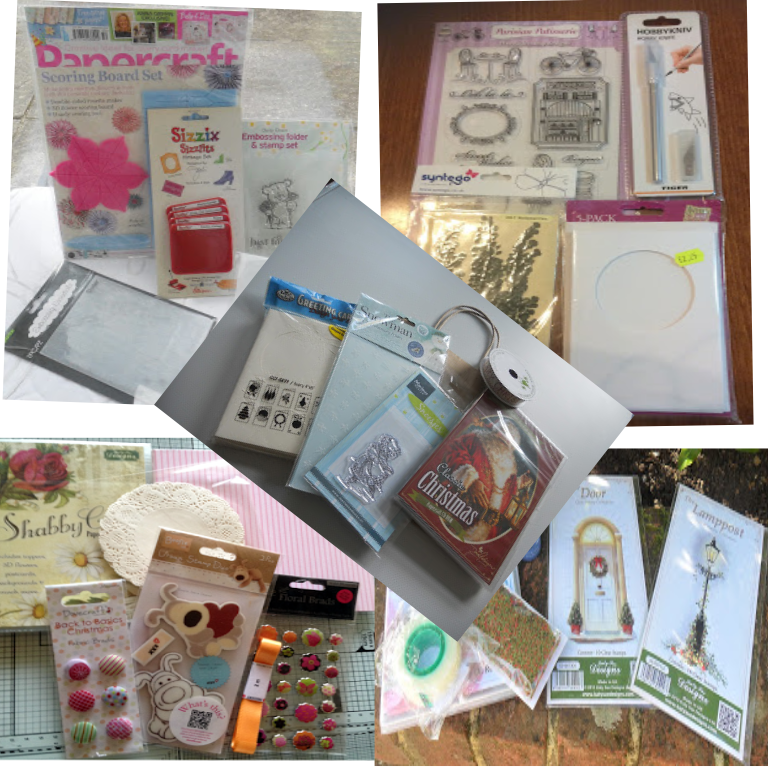 Time for another challenge at CD Sunday, this fortnight challenge has been set for by team mate Carol so get your crafting hats on and join in with us, only a couple things to remember' YOU MUST USE SOMETHING FROM A CD, to be in with a chance to win any prize that may be on offer and please tell us what CD you have used. 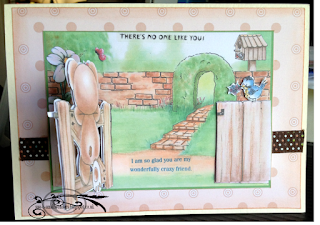 Now the team and our two guest designers JANE and SHAZ have come up with some lovely inspirational cards for you, so just click on the CD Sunday link above to check them out. For my card the CD I used is CC Frou Frou , i have used the backing paper, the rest of the card is compiled in craft artist. I look forward to seeing what you come with over the next two weeks. How fast are these weeks moving, I must be getting old. Welcome to the next fortnights challenge at CD Sunday. 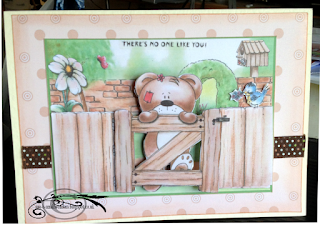 Our guest designers and team mates have done us proud again, just check out the CD Sunday challenge blog. Jocelyn will be going over all the entries from our last challenge and bringing her top three to us soon, so keep your eyes peeled , it could be you. white card blank . I have printed out the main image and papers and matted and layered them after roughing up the edges. I have added a small bow and a few flower shaped buttons. The sentiment reads 'Mothers are like buttons, they hold everything together 'and that has been computer generated. I hope you will be able to join us over the next two weeks and please remember the only rule we have is that something on your project must be something from a CD no matter how small that is. 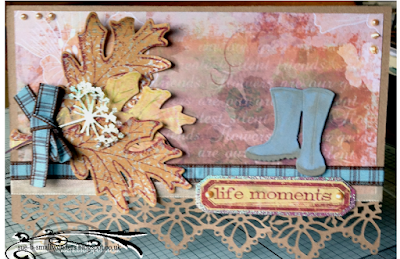 Good Morning crafters, this fortnights challenge @CD Sunday has been brought to you by team mate Jocelyn and the theme is Seasons. 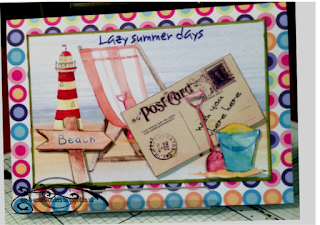 I have chosen summer and i have made a tent fold card and used a Serif Kit Craftscapes summer Seaside. They do the four seasons in these kits and all lovely to work with. We still have our two Guest designers with us, Shaz and Jane, so do be sure to check out their blogs along with the rest of the team who have all brought something different to the table. I look forward to see what you make and visiting your blogs. Hello again, I can't believe two weeks have gone past already and it's time for a new challenge from CD Sunday. The challenge for the next two weeks has picked by team mate Wynn and it's called Wild Flowers . 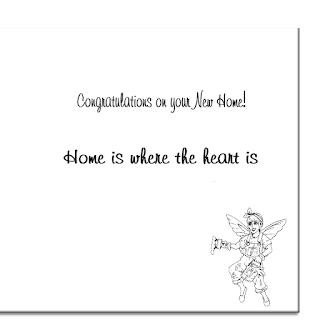 The team and and our two lovely GDT, Shaz and Jane , have some rather lovely cards hopefully to give a bit of inspiration. 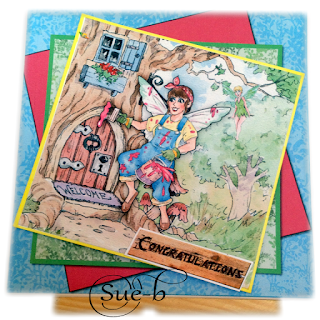 For my card I have used La Pashe's Gnomes and Fairies on a 6x6 craft card , the only thing I ahve added is a little glaze here and there. I hope everyone has enjoyed the festivities and is the mood for a bit of crafting. Our challenge at CD Sunday for the next two weeks has been chosen by team mate Carol and she is asking you to Ring in The New Year . 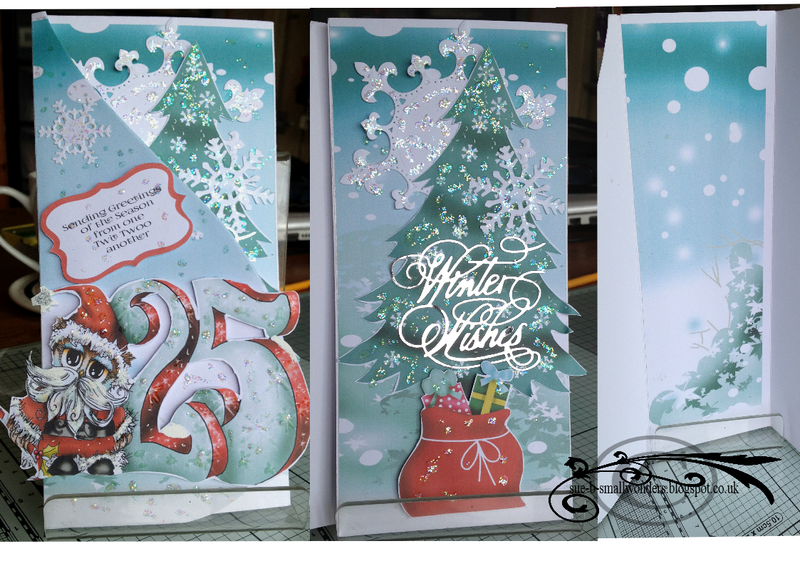 We have our two guest designers who along with team have made super inspiration cards for you so do check out their blogs . 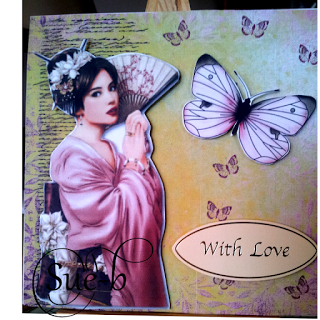 For my make i have gone with a La Pashe Cd and made an easel card and used the sentiment as a stop to hold it up. I do hope you will have the time to join us and look forward to seeing what you come up with. Good morning all, a warm welcome to the latest at CD Sunday. Before we get onto the challenge i would just like say a big thank you to Pauline and Meg who made such fabulous guest designers over the past few months. 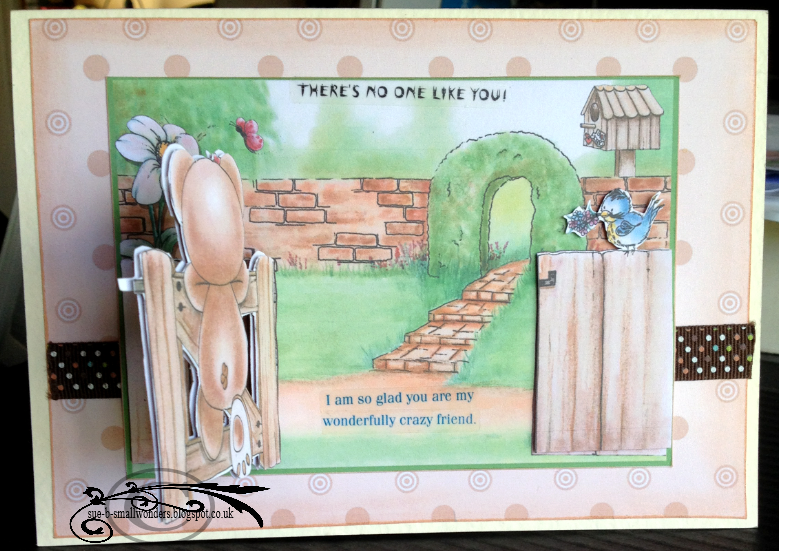 Staring today we have two more Guest designers who will also be familiar to many of you and they are Shaz from "Crafty little blogger" and Jane From "Onions and Paper" and we wish them a very warm welcome. The Challenge has been chosen by myself this fortnight and it's called a Cool Yule, so i hope as we are all well into our Christmas cards that you will be able to play along with us. The only requirement is that you take something from a Cd and add to your creation nomatter how small it is and give credit to the CD. 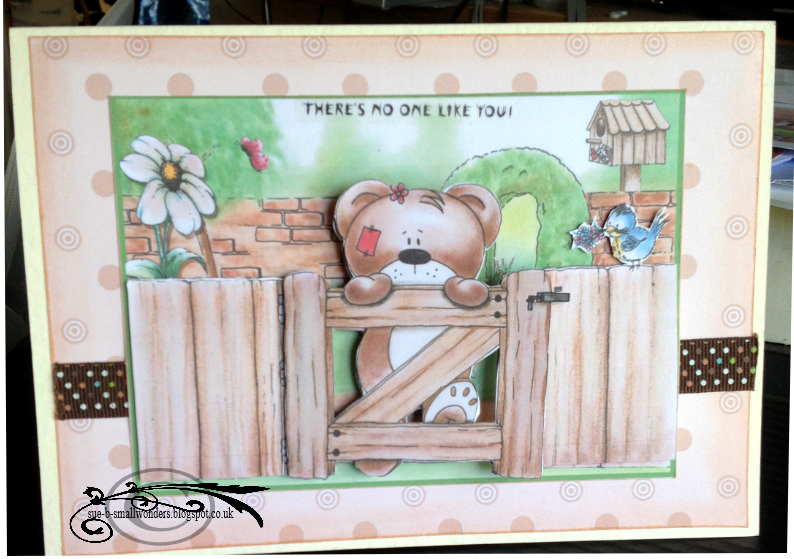 For my card the CD i have used is one of the polka doodles called "Not only for boys". 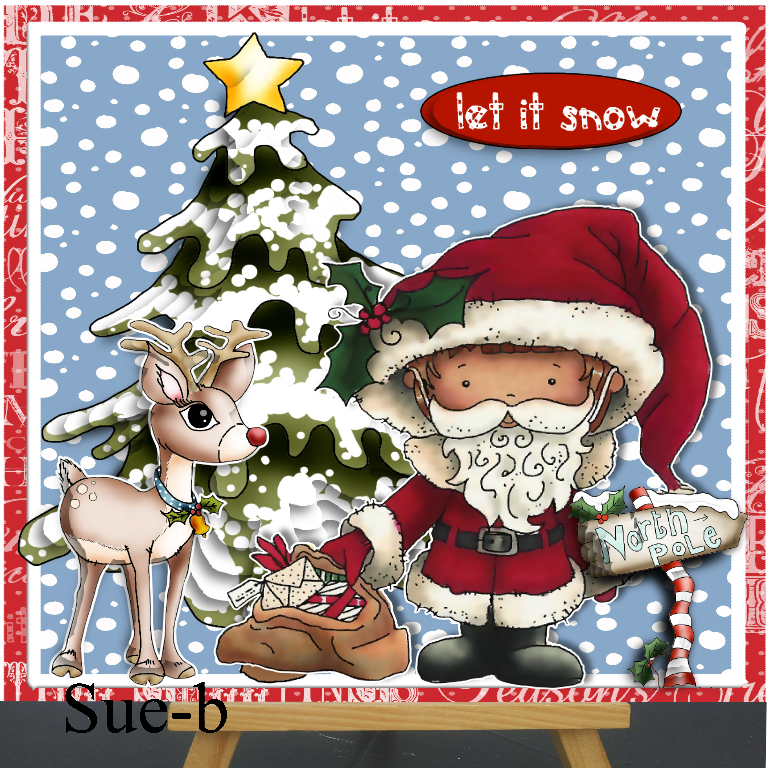 I have printed off the images and cut them out leaving a small white border and then arranging them on to the topper, i also added some stickles to add a touch of bling. So i hope to visit you soon to see what a cool yule you will be having and that just leaves me to wish you all a very very Merry Christmas. Good morning crafters from a wet and grey North Wales, this next two weeks our challenge at CD Sunday has been set by team mate Jocelyn and she has chosen Colours of Autumn, and what a vast variety we have at this time of year. For my contribution i have used craft card in a tent fold, I have used a die to give it a filigree lower edge, my CD element is the backing paper that i took from M.C.S Florigraphy CD 2, so many autumnal colours can be found on this CD. 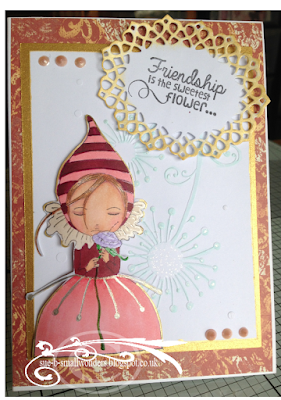 I have used several dies on this card for the boots, leaves and dandelion head and a ribbon to finish off. 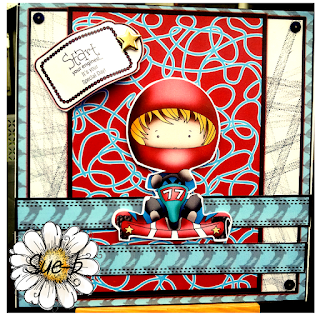 Just click on the CD Sunday link to check out our guest designers and team mates beautiful makes. A sprinkle of snowflakes. This is Wynn's choice of theme for our challenge at CD Sunday for the next fortnight. Our guest designers Pauline and Meg along with the team have come up with some lovely inspiration for you , so just click on the above link to check them out. For my card I have used a Polkadoodles CD called Twiggy and Toots festive fun and alovely Fun CD it is too. 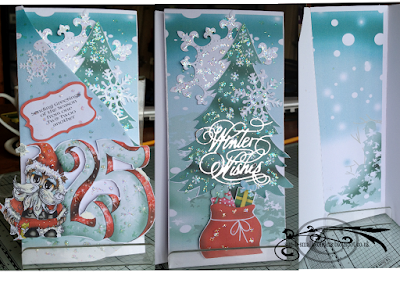 I have used a DL three-fold shaped card, the two front flaps have been covered along with the inner central panel. 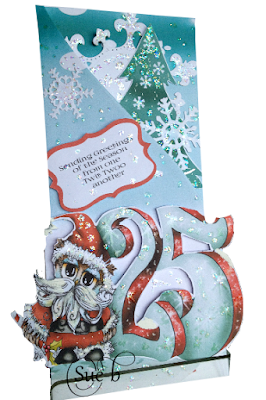 The winter wishes is a die cut from Tonic and i also added a couple of die cut snowflakes and used a stickles for an extra bit of sparkle. I hope you will join us again this fortnight and please remember you must use something however small from a CD and tell us what CD you have used. Not too many entries for our last challenge set by myself, but thank you to those who did submit and i will picking my top three, so do check back to see the results. 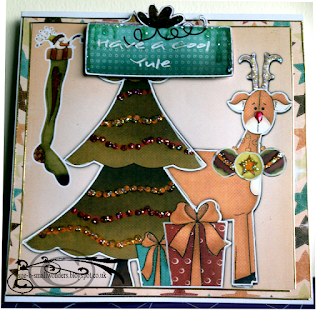 Our next challenge has been set by Carol and she has gone with something beginning with H.
The design team have come up with a great variety to inspire you so do check the CD Sunday challenge page today, just click on the link to go there now. 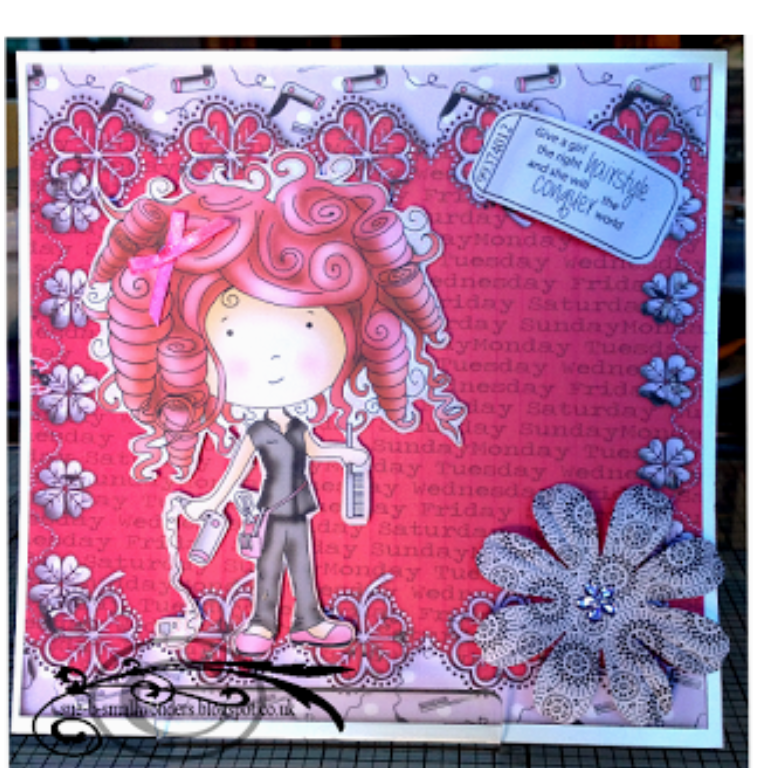 For my card I have used Polka Doodles work & play 2, Hairdresser , I love these CD's you can usually find something to suit everyone. So get your thinking caps on and join us and remember you have to use something from a CD no matter how small. 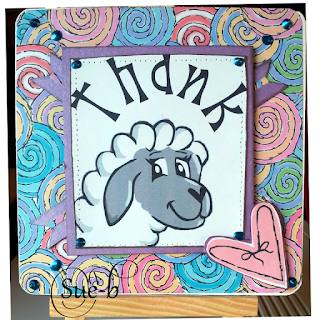 Good morning CD Sunday crafters and thank you for the lovely entries for Jocelyn's challenge, Bloomin Marvellous , she will now be deliberating over her top three and the results will be published shortly. 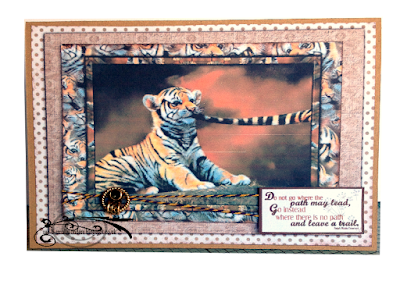 For the next fortnight your new challenge has been set by myself, and i have gone with Baby love , now originally i was going to use a CD from Joanna Sheen called Baby Love but then changed my mind and I have used Pollyanna Pickering's World wild life and I love this image of the baby tiger . 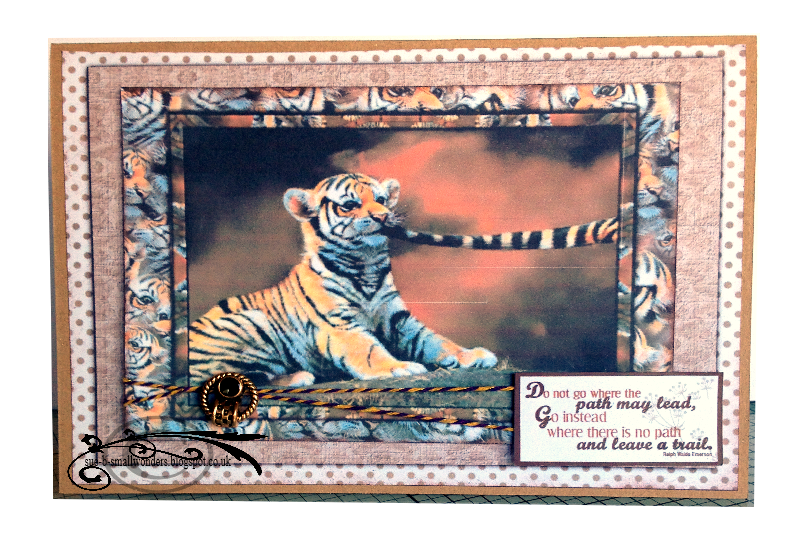 I have used craft card as the base and all papers from the CD, added some bakers twine threaded through a fancy button and then added a sentiment that reads ( do not go where the path may lead, Go instead where there is no path and leave a trail.). Click on the link above to visit the challenge page and to see what the team and our guest designers have come up with for your inspiration . I look forward to visiting you all to see what you come with for this fortnights challenge. This fortnight our challenge at CD Sunday has been chosen for you by Jocelyn and it is Blooming Marvellous. 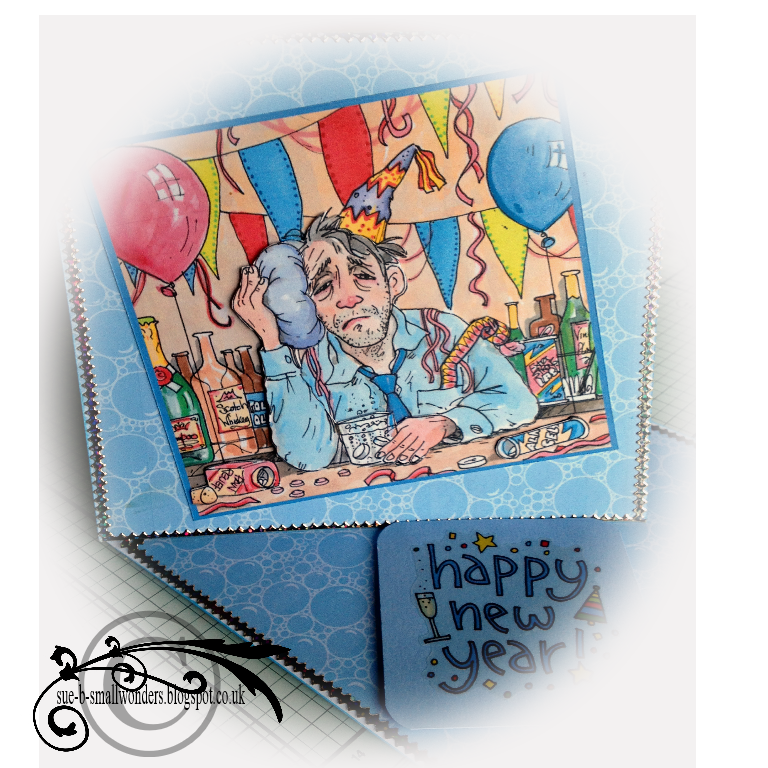 so get your crafting hats on and join us , just click on the link above to check out what the design team have come up with as their take on this great theme. 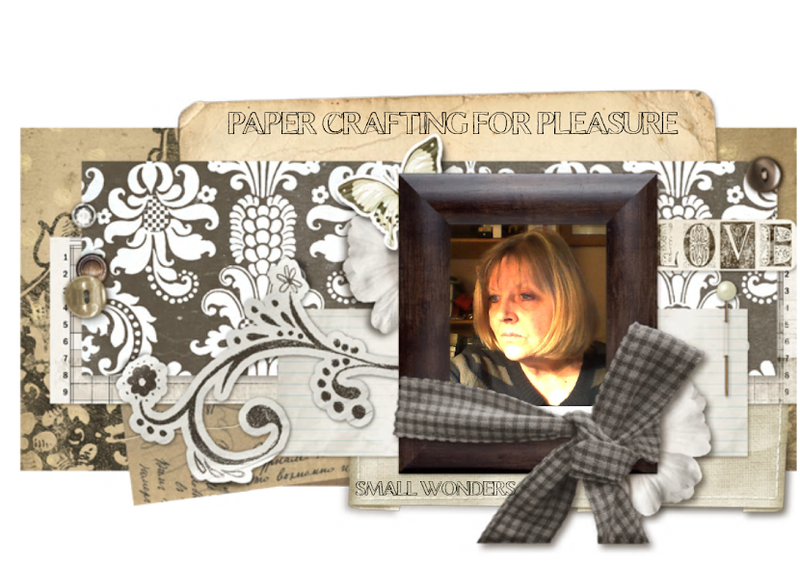 Wynn will be sorting her top three for her Pearls and lace challenge and the results will be shown shortly. Papers and image taken from the CD and i have used pink card for it's base, i used silk flowers and placed a pink heart in each center , i have used a ribbon placed behind the image , on the image i have used pearl drops in the corners, I love the verse on the image . I hope you can join us this fortnight, please remember to use something from a CD however small that is, and tell us what CD you have used. How fast are these weeks going by, they say it's sign of old age when you start saying that, but i take comfort in the fact that my children are saying it too. This fortnight we bring you a new challenge and the theme has been chosen by Wynn and it's Pearls and Lace. The team brings you fabulous inspiration once again, just click on the link to see them all. the image is decoupaged, the images of the roses are so beautiful and i have used a ball tool to give it a bit more definition, added lace to the edges with pearl clusters and some beautiful stems among the roses with pearls . I hope you like what the team have done for your inspiration and do hope you can join us again with this fun challenge. Thank for the all the lovely entries for our last challenge, now i have to ask you to bear with me again while go through them and pick my top three. This fortnight we have the pleasure of the company of two guest designers both very well know to you all and they are Pauline (aka Crafting with Cot nob) And Meg (aka Bits and pieces). 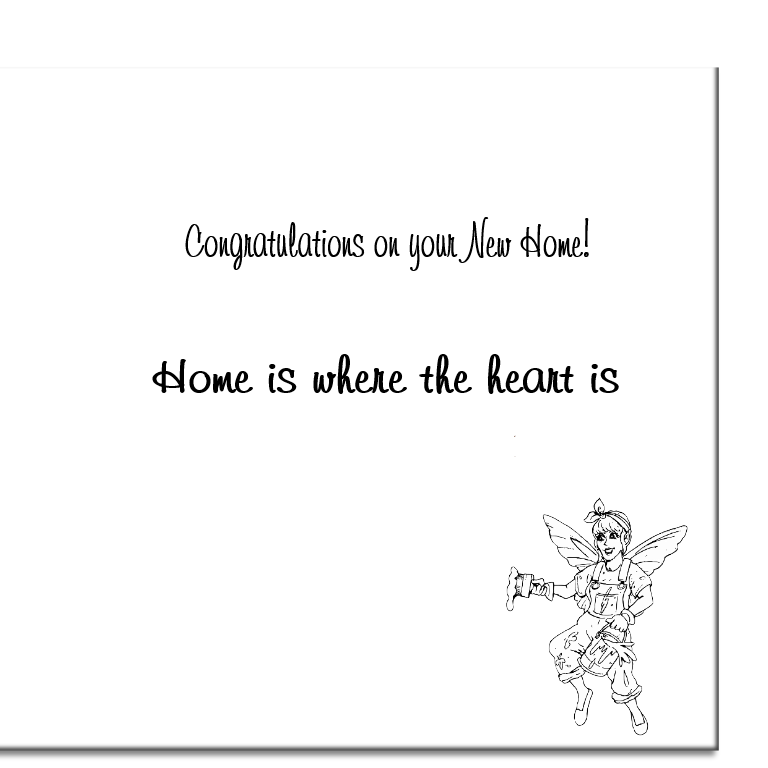 I love the work these talented ladies produce and i know you do too, so for their first inspirational cards they have for you is with Carol choice of theme and that is Glorious Gowns . For my card i have used a white DL card and trimmed the top corners to make a large tag , the papers i used came from Debbi Moore's Venetian collection. I made two of the dolls, ( i believe this is tasha) so i could cut one just for the dress which i then put in an embossing folder (Sheena's fabulous florals) , the doll has been coloured with copic pens and just a tiny bit of bling. I hope you like it and the rest of the teams fabulous creations , so come and join us in our latest challenge Glorious gowns with Carol, just click the link below. Our last challenge was a photo challenge and Jocelyn will be deciding on her top three, so do check back it could be you. This fortnight it is my turn to challenge you and I have chosen Bears, so its Bear with me. I have used Cupcackcrafting's Tumble Tizzy pastimes collection CD2. Just remember to use something from a CD of your choice and tell us what CD you have used to give it credit. I do hope you can join in with us, and you have two weeks to get your entries in , good luck. We would love to see what you can make with this photo as your inspiration, check out the teams takes on this , all so different, so lets see what you come up with. 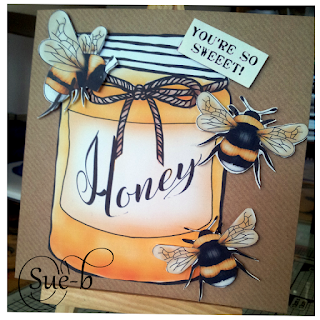 At first I intended to use part of the photo to use as a background but then decided to pick out the colours as my inspiration for this card. 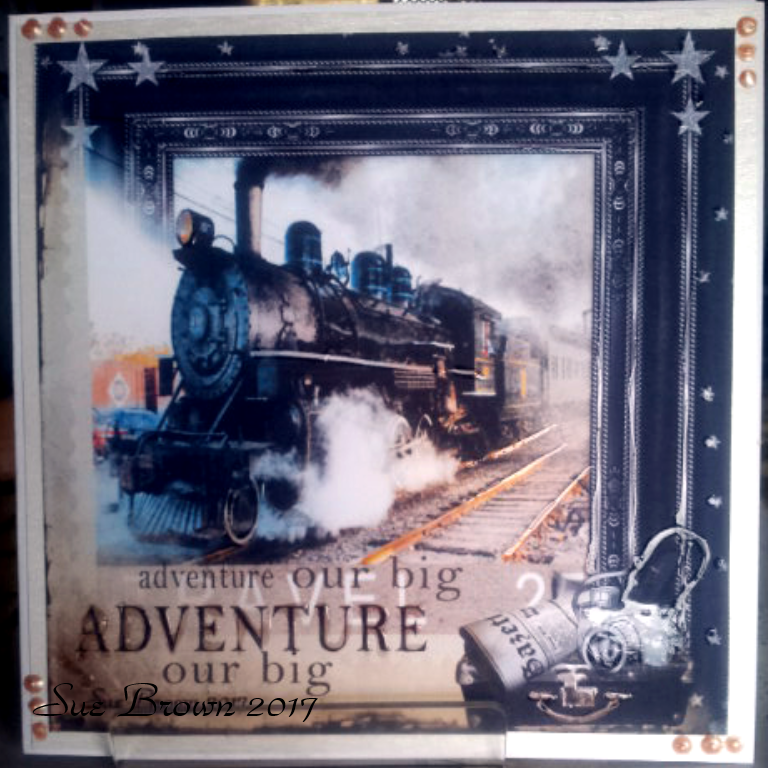 The CD I have used is from Serif called Steampunk Inventor, a really good CD for your male cards. As you know two of our design team have stepped down , both of them founder members and we shall miss them both, but to bring us back up to full strength we have invited 4 guests to join us over the next few months, so starting in September we have the 2 very talented designers joining use from September to November and they are Pauline (aka Cotnob and Meg (aka Bits and Pieces) then for December to February we have Jane (onions and paper) and Shaz (shaz's crafty corner) , we are all super excited and pleased that they have agreed to join in with us over the next few months. I look forward to seeing what you create from Jocelyn inspirational photo and look forward to visiting your blogs. 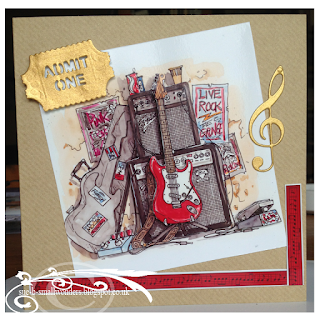 For our challenge this Fortnight Wynn is asking you to be a Rock Star, but first let me just say a big thank you to Jenny and Christine as they step down from the design team, both of them being founder members they are going to be missed and i wish them both the very best as they continue in the crafting world. 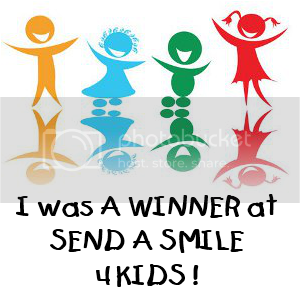 Our last challenge was set by Christine (add a stamped image) and she will be picking her top three before she leaves us, so do check back to see if it is you. 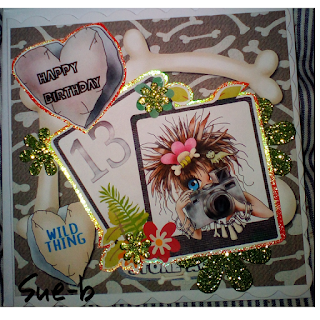 For the base card i have used 6x6 craft card and the image has been printed on photo paper, i have printed it twice and applied one layer of decoupage. 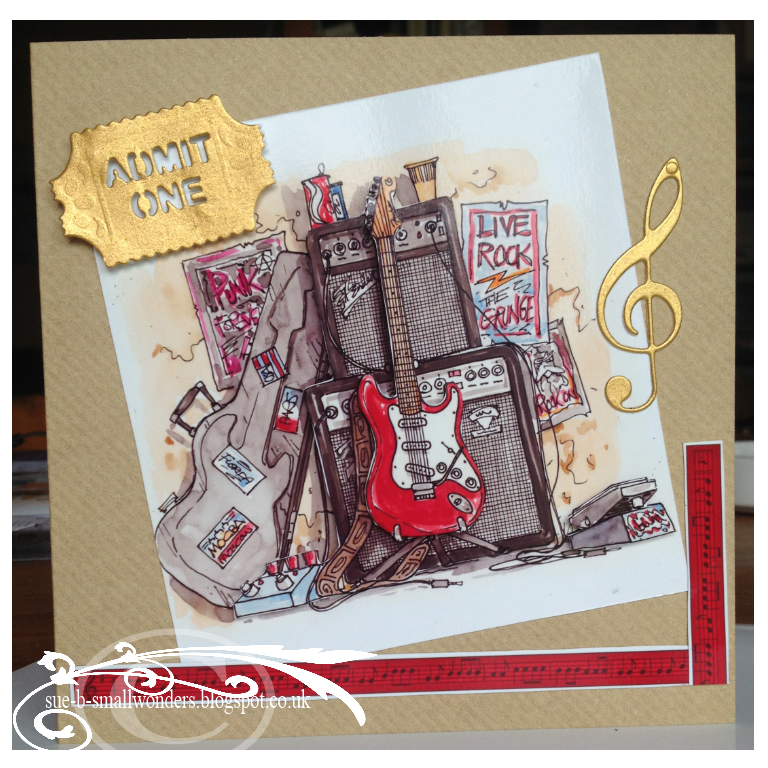 I have used 2 die cuts , the music note and admit one ticket. I hope you like it , and i hope you can join us and i look forward to visiting you all. Good morning crafter and welcome to latest CD Sunday Challenge. The challenge is set for you this fortnight by team mate Christine. Christine has made this an easy one for everyone to do, yes just add a stamped image and use something from a CD, any of your choice .....simples. Our last challenge was set by Jenny (flitter & flutter) and she will be selecting her top three to be announced later, so do back to see if you are a winner. 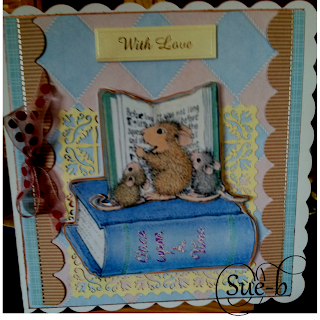 I have made a standard 5x7 card and the CD i used is Artylicious Damask Delight by Glenda Waterworth. 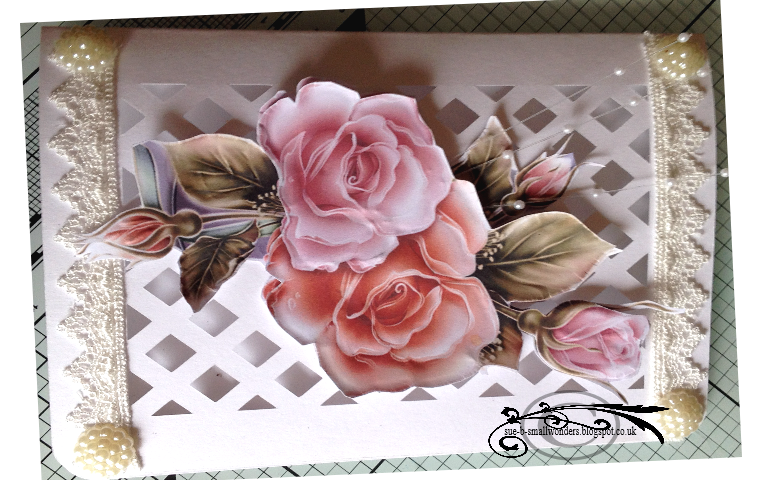 So the Cd element to this card is the damask background paper, and that is the only thing from a CD that i have used. 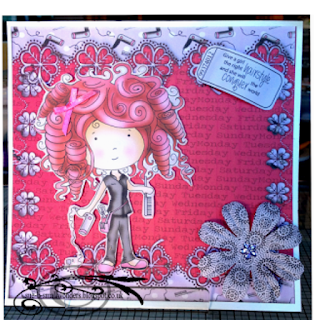 I used two stamps , the main image is a Santoro clear stamp and the sentiment stamp is a rubber unmounted one from crafters companion, both stamped using Memento tuxedo black. The other ingredients to this card are in the photo below, embossing folder from Darice, die from Tonic, copic's and jelly roll pens for colouring and liquid pearls and a dew drop Brilliance ink in galaxy gold for edging the sentiment, image and card. well i hope you can all join in again and i look forward to visiting you. I must be getting old, i feel that time is flying by and its already time for a new challenge. 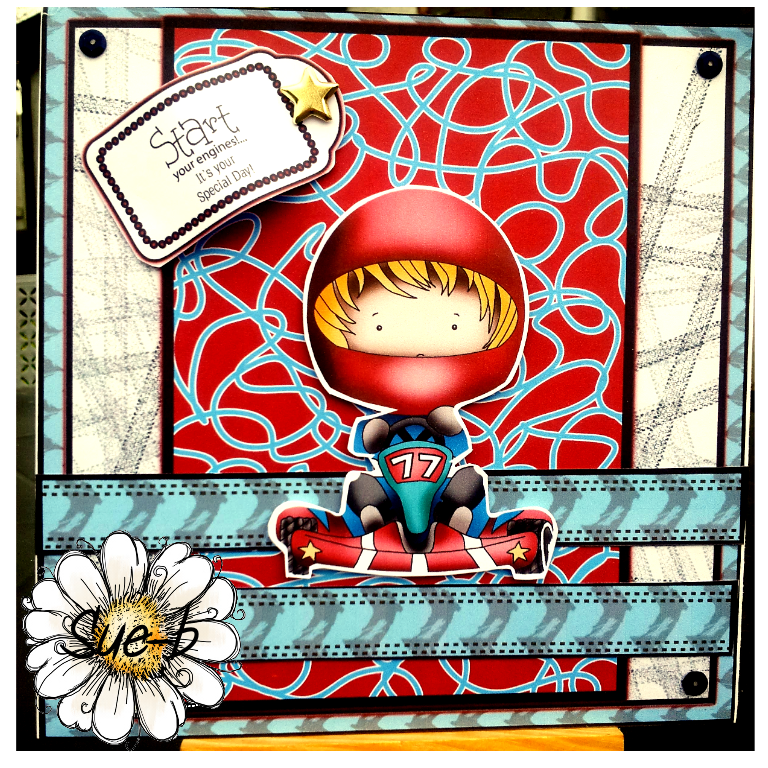 Just before we look at the new Challenge our last challenge had some fabulous entries and Carol will back and forth to select her top three. 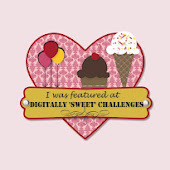 This fortnights challenge has been selected for you by Jenny, . 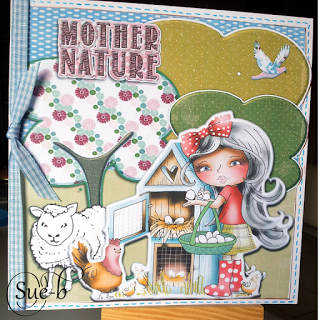 Don't think of just birds and butterfly's, there is plenty of scope for this one and if i had of been more organized i had an idea of what I wanted to do, but time is now against me so i have gone with a Polka doodles CD called Back to nature. 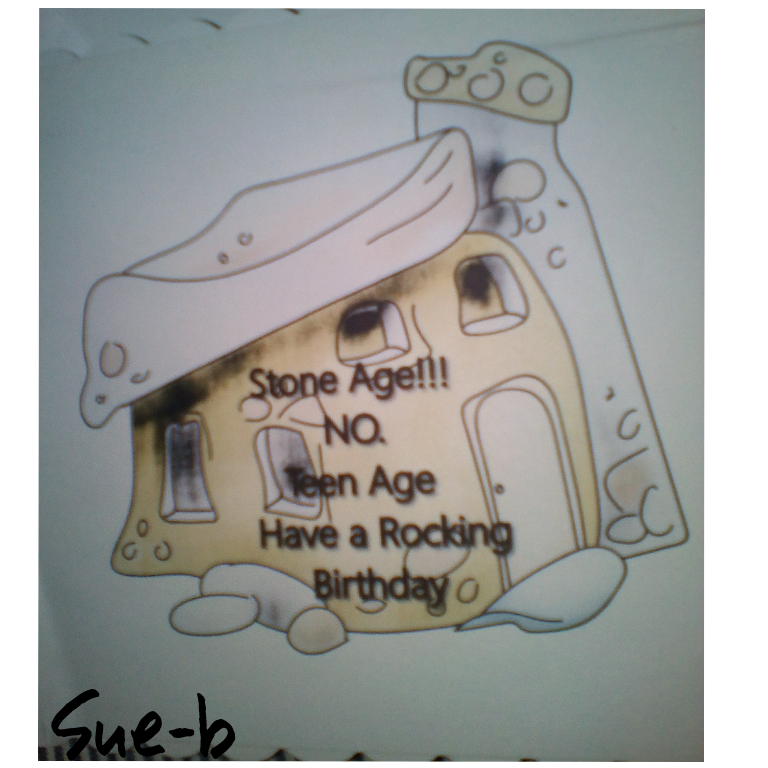 So everything on this card has come from the CD and not too much cutting out, although i do enjoy cutting. 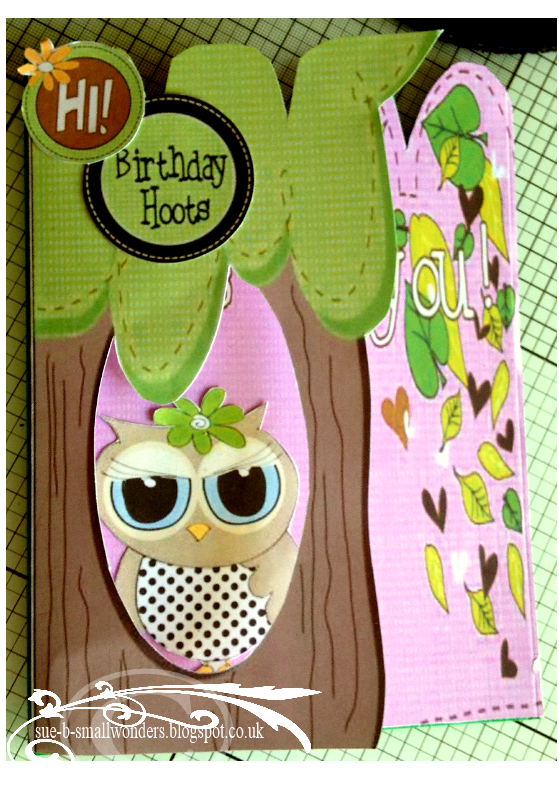 I have made so that the tree opens back to reveal the cute owl behind and then opens again for the insert and verse, the owl also has a back image, so i could have paced her in the aperture and once opened you see the back of her, but i liked her just on the opened page . So get your thinking caps on and join us again this fortnight and please remember to use something from a CD and give it credit. 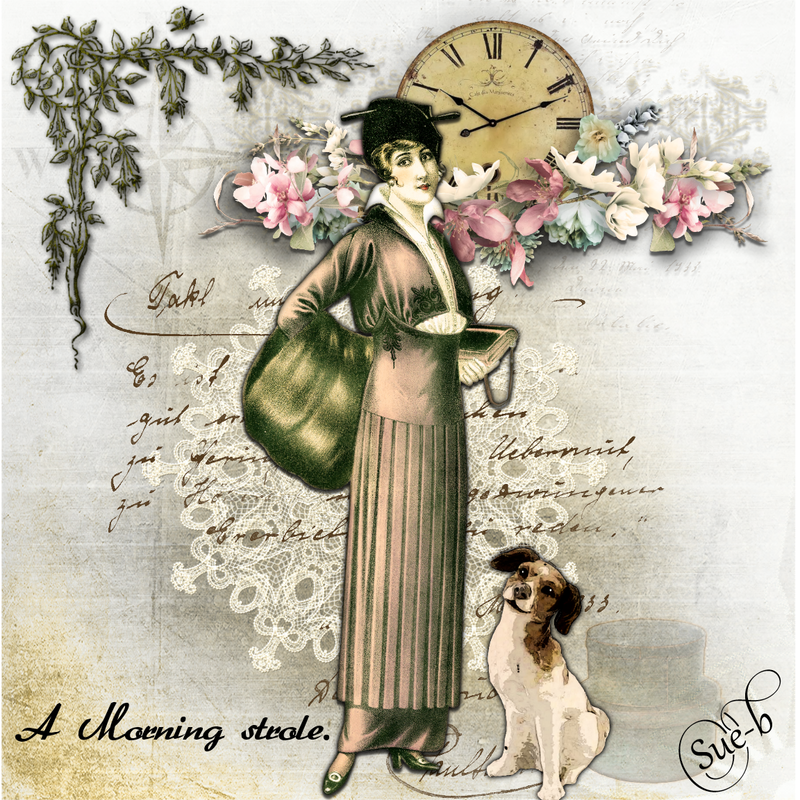 It's been a long while since i did any digital pages and seem to have forgotten how to work it through scrapbook artist, need to put some work in here but i have enjoyed renewing my love of it ,. This is just a quick page to feel my way around but i hope you like it.